Roll out the barrels in downtown St. Pete for Oktoberfest where a dirdle, mug and song will get you in the holiday spirit. Seasonal craft beers, from pumpkin to sours, will pop up in local craft breweries, so board the free eco-friendly Nickel Ride in Downtown St. Pete (855-WE-R-FREE) or book a brew tour by Thirsty Pelican (727-201-8221) after this weekend to discover Oktoberfest in St. Pete all fall long. Green Bench Brewing Company: Turning the Oktoberfest spirit into their 5th Anniversary Bash Oct. 6, the beer drinking starts here 11 a.m. with raffle prizes, the Indie Flea Street Market launch, Dj RePete spinning vinyl (6-10 pm), Latin Lunch Box delish dishes, live painting, and screen printing plus so much more. The Galley: On Sept. 29-30, channel your German dancing apparel at the 1st Annual Oktoberfest celebration with live music, traditional German food and authentic bier specials including $3 Warsteiner, $4 Sam Adam's OktoberFest, $4 Big Storm Oktoberfest & $5 Jagermeister shots! 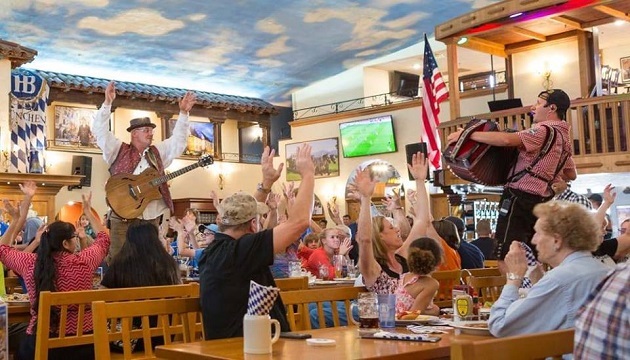 Hofbrauhaus St. Petersburg: Thru Oct. 21, it’s Oktoberfest beer and food specials and when you’re lucky, music by The Bavarian Beer Band on the weekends. Friday is $5 happy hour special, and you’re sure to find new friends in the raucous beer hall and authentic sausages and Bavarian pretzels to go with your Dunkel and other seasonal beers. The Independent: Starting September 25, this nifty live music bar in downtown St. Pete celebrates Oktoberfest each Tuesday with $8 liters of select German drafts & special priced German fare! 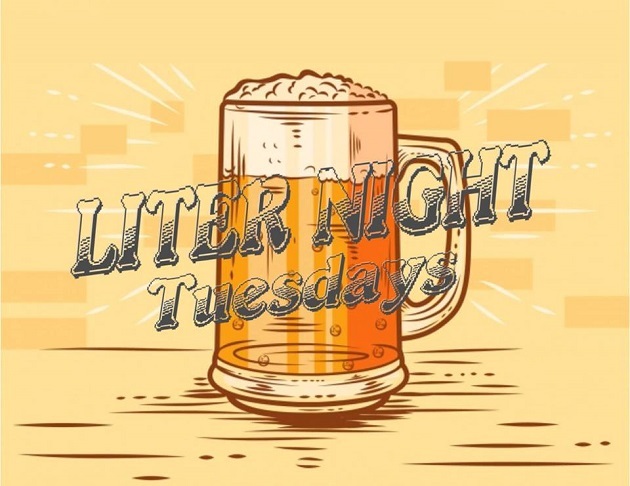 Your 5th cumulative purchased liter of beer (thru October) lets you keep the glass! Rotating fare, and if you’re lucky, they will be selling classic Bavarian Pretzels with homemade spicy-sweet beer mustard! St. Pete Beach Oktoberfest: Bring on autumn Corey Avenue style with a fall celebration of all things Bavarian at Oct. 20-21 10 am-8 pm. Enjoy delectable smoked sausages, roasted meats, sauerkraut, cabbage, pretzels, beer, and live German music. Free. 3 Daughters Brewing: Don’t miss Oktoberfest Sept. 30. Unleash your lederhosen and enjoy the food (1/4 delicious smoked chicken, sauerkraut, soft pretzel with cider mustard, cheese spaetzle), get your own 3D stein and BEER…all for only $30! If you are still hungry or thirsty, 727area serves up dozens of guides for restaurants from St. Pete to Clearwater. Register on 727area and stay connected on what's cool around St. Pete and Clearwater, from restaurants to nightlife in St Pete and more!